Call us today to book your next trip! Phone 269.214.6934 | Book your trip ONLINE or EMAIL us your request. Michigan Out of doors TV Show!!! South Haven with 2 boats, 2 camera's and a lot of fun!!! Two brothers who are also charter captains take out our winning golf teams from last years tourney and we have a great day. We also see the largest Carp shoot in our state, plus I weigh in on the baiting issue... enjoy!!! Just a few of our great catches! More photos coming soon. 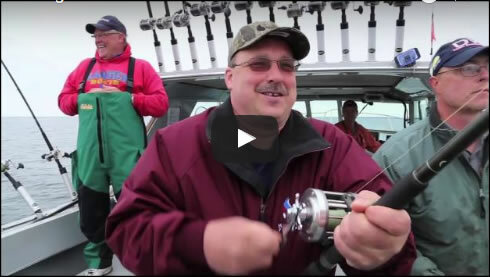 Captain's Jim & Chad Bard have a long family history of Great Lakes Fishing which has led to a diverse fishing style that is unique. IT-IL-DO is a 33’ Tiara Sportsfisherman Flybridge that is rigged to fish in comfort porting out of South Haven. When you book with IT-IL-DO charters you will be fishing with a United States Coast Guard Licensed Charter Boat Captain on a fully insured Michigan DNR Inspected Vessel. The vessels are equipped with the latest in navigational systems and radar to insure safety along with the ability to find and catch fish. #1 for seven years running out of the Port of South Haven The "Red Baron" is a 30' Cherokee Charter Edition that was built to Charter fish the Great Lakes. Book with us because time on the water fishing is in direct correlation with time on the water catching! 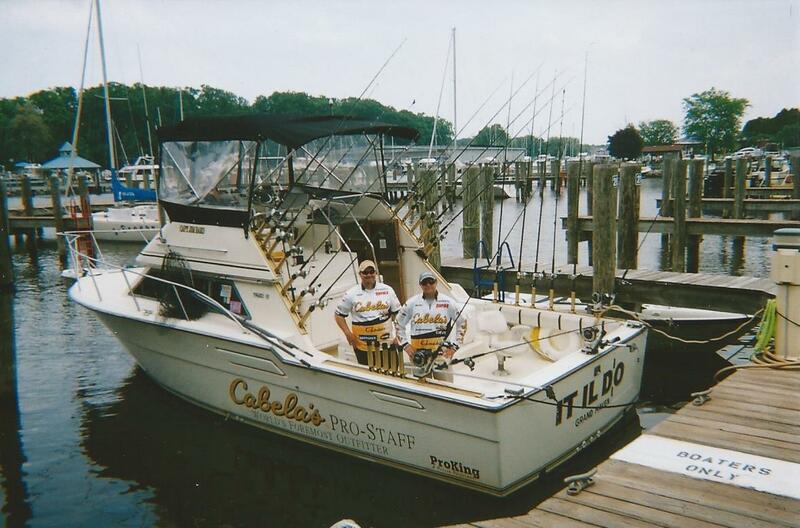 We owe our continued success to a high customer return rate and our drive to be the Premiere Charter Company in Southwest Michigan providing the best fishing experience possible every trip. Charters for individuals, families, executives, and corporations. More boats for larger parties can be arranged. Children are welcome. IT-IL-DO Charters LLC is fully equipped, so all you will need to bring is food, drink, sunglasses and soft soled shoes (tennis shoes), we provide the rest. If you have more than six people that want to go all at the same time, we will provide additional charter boats for you. All trips are booked in advance, so either call or email us to reserve your trip date. Family History: Brothers Captains Jim and Chad Bard are Grandsons of a commercial fisherman we have grown up on Lake Michigan fishing out of the Port of South Haven. Our grandfather commercially fished for mostly whitefish and chubs in the 1950's and 1960's until the lottery that ended it. Our father and uncles turned to salmon fishing and fished in tournaments from Michigan City to Ludington. We and multiple family members have won and placed in many tournaments for the past 30 years and are still very well recognized and respected on the tournament trail. Our parents still live and have a small marina on the Black River in South Haven so the access to the Lake continues.